Sew Can Do: 2018's First FREE Fabric Friday! 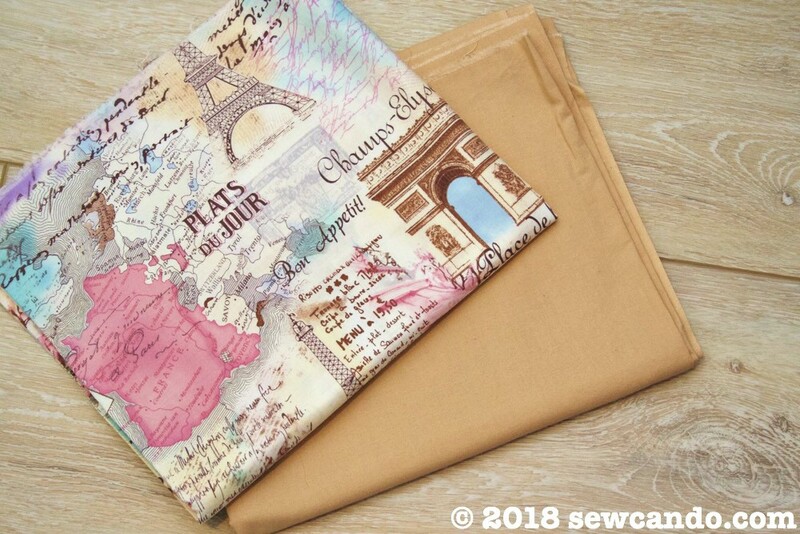 2018's First FREE Fabric Friday! 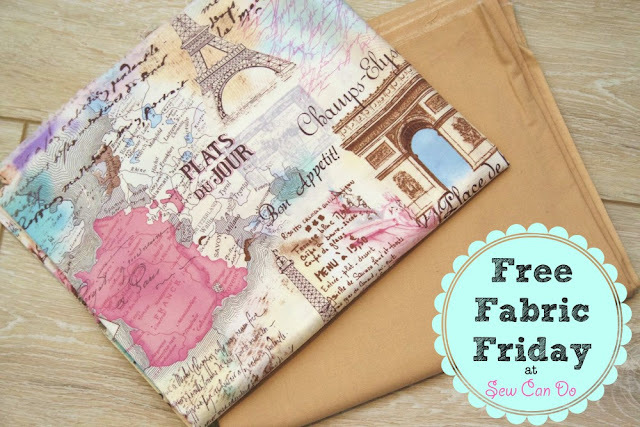 It's time to kick off the very first Free Fabric Friday of 2018! What is it? De-stashing for me = FREE fabric for others. C'mon and give some lovely fabric a good new home! 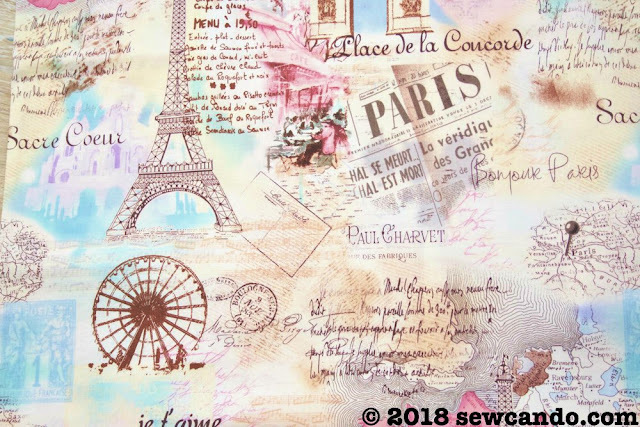 This set includes 1 full yard of this iconic retired April in Paris print by Timeless Treasures, and a coordinating yard of their Soho Solid in Camel. KEY INFO: The fabric will cost nothing, but I will need the shipping cost to be paid by the recipient via PayPal within 24hrs of notification. This cotton bundle is 12 ounces total. I'll ship it USPS to keep it as cheap as possible and only require the actual postage cost. My handling time and packaging will also be free:) Currently this is limited to US residents only. I think I would make a small wall hanging. My daughter needs a new dance tote and this would be perfect for her - she just celebrated her 7th birthday with included a party for her friends where I made fleece berets and the girls created Cafe shadowboxes. I would do a tote bag for moi! I love the theme of this fabric! My daughter would love for me to make something for her room using this! I would love to make a tote bag with these, well at least the Paris fabric! Very cool material & I would love to make a diaper bag for my daughter who is due on my b-day in April. This material is great for either gender. Thanks for the chance! I love to learn new things with sewing and building. I think that I would make something for my granddaughter. That fabric is wonderful. It is too beautiful to sleep in but it would make her a long ruffle nightgown. 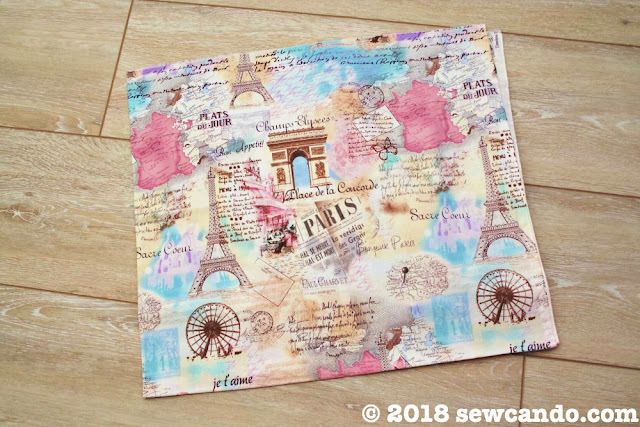 I love the Paris fabric! Would make a cute tote bag or purse. I would make a tote bag for my granddaughter. I would make...my wife happy. She is the crafty one. We do a lot of photographs though and this fabric would be a great backdrop. 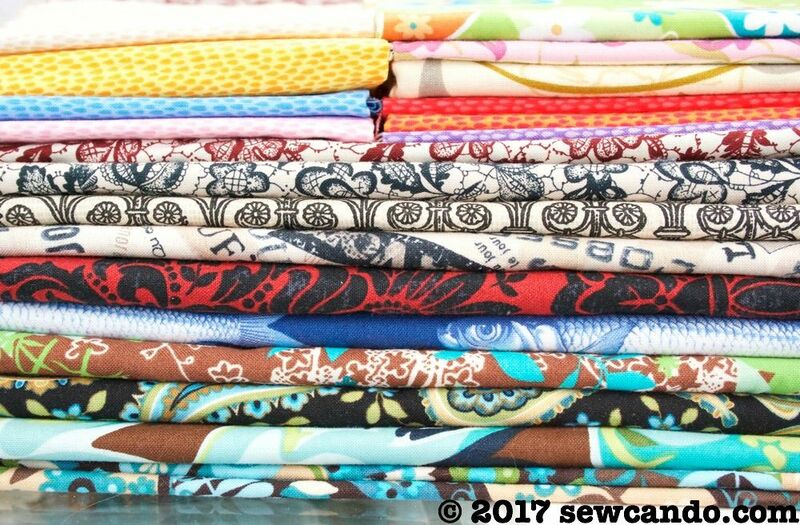 I would make a scrappy quilt with these and some others I have.